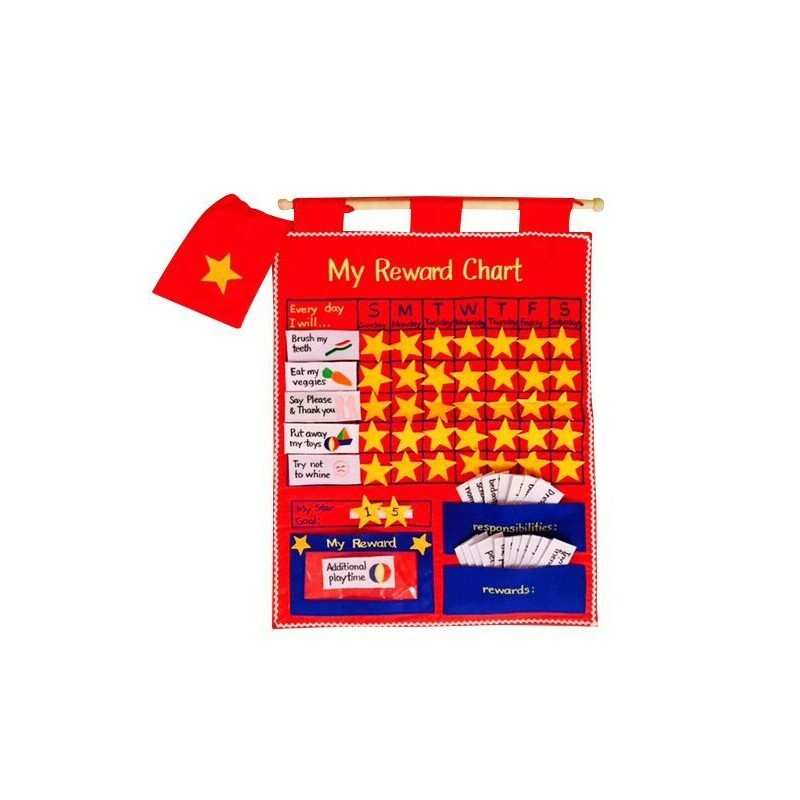 MY REWARD CHART is a beautifully embroidered interactive wall chart which can be a fantastic way to motivate your little ones to complete everyday tasks and help build good routines. 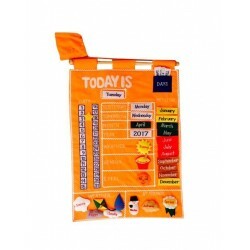 It also encourages responsibility while building counting and reading skills. Children will love adding stars as they work toward their daily or weekly targets. All the pieces are detachable and are affixed by velcro making it interesting and engaging for young minds. 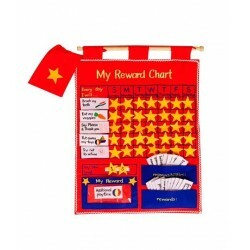 We also include 12 blank tabs so that you can create your own rewards and responsibilities. A fantastic addition to any household!